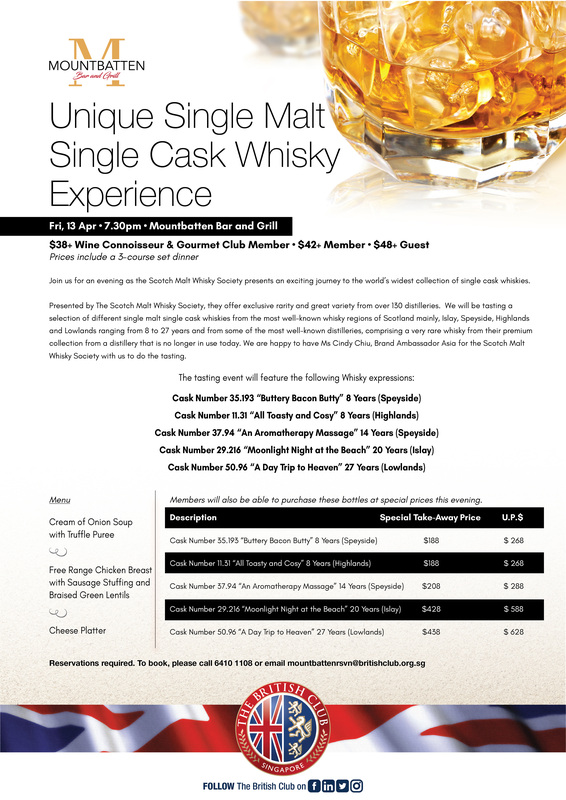 An evening with exceptional and rare single cask, single malt scotch whisky. Join us for an evening as the Scotch Malt Whisky Society presents an exciting journey to the world's widest collection of single cask whiskies. Presented by The Scotch Malt Whisky Society, they offer exclusive rarity and great variety from over 130 distilleries. We will be tasting a selection of different single malt cask whiskies from the most well-known whisky regions of Scotland mainly, Islay, Speyside, Highlands and Lowlands ranging from 8 to 27 years and from some of the most well-known distilleries, comprising a very rare whisky from their premium collection from a distillery that is no longer in use today. We are happy to have Ms Cindy Chiu, Brand Ambassador Asia for the Scotch Malt Whisky Society with us to do the tasting. Join us on the evening of the 18th of November as The Single Cask conducts a very special first foray into the world of the Scotch Malt Whisky Society (SMWS)! Patrons will also be able to purchase their SMWS memberships during the event. 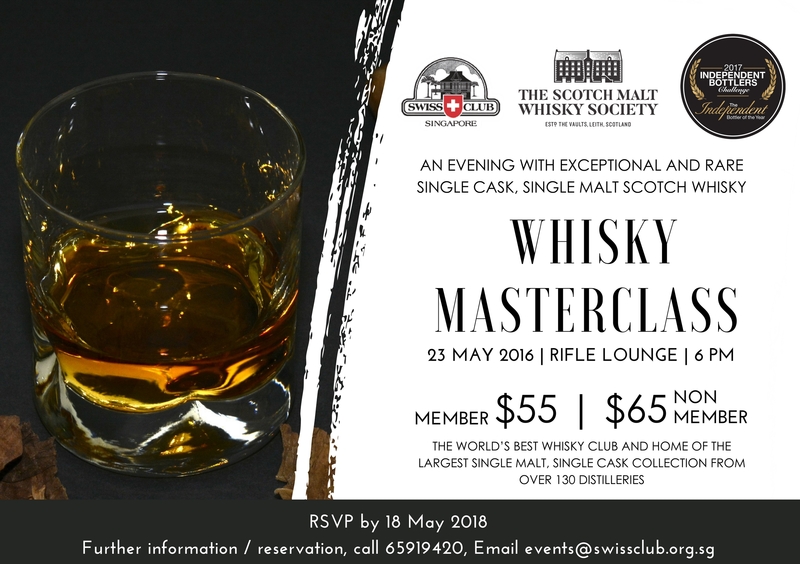 Places are limited - for reservations please contact us at :info@smws.sg or at 9475 7218.